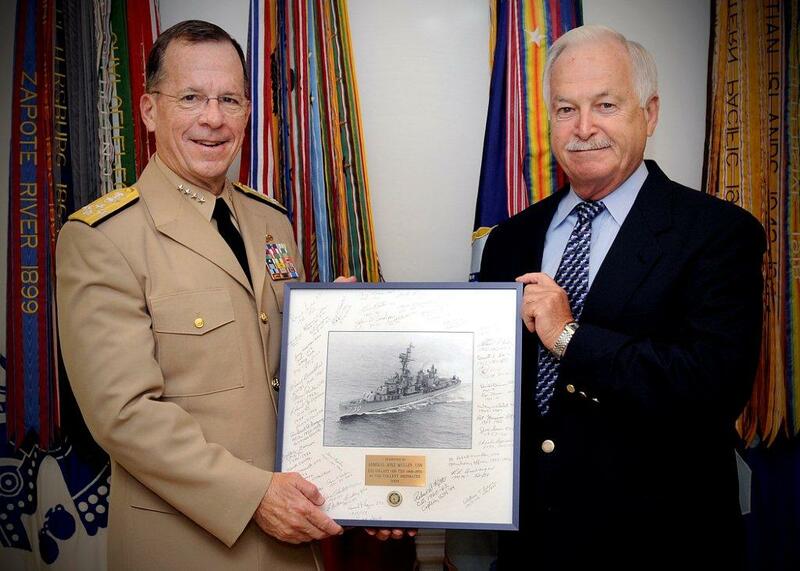 Presentation of USS COLLETT photo to Chairman of the Joint Chiefs of Staff, Admiral Mike Mullen by Vice Admiral Bill Hancock. The photo was signed by shipmates of the USS COLLETT. Admiral Mullen's first assignment out of the U.S. Naval Academy was the USS COLLETT.